We have put together a list of terms that you will come across when using or buying a camera. Shorthand for a video format that is 1920x1080 pixels in resolution (standard full HD resolution). The "p" means progressive scan. The common designation 1080p/60 means video that is being captured or displayed in 1920x1080 resolution, with each frame progressively scanned, at 60 frames per second. 35 mm - Thirty five millimeters is a measurement common in the camera world: as 35mm film, as a 35mm camera and as a 35mm lens. (35mm = 1.38 inches.) In the non-digital camera realm, the most common film size is 35mm, even though the frame actually measures 36mm x 24mm. Very few digital sensors (or digital "film") are that large. A 35mm camera is one that traditionally used 35mm film, and is more correctly identified as a 35mm film camera. Camera lenses are also measured in mm, including the 35mm lens (considered a medium wide angle). Traditional still cameras capture images in two dimensions (height and width). 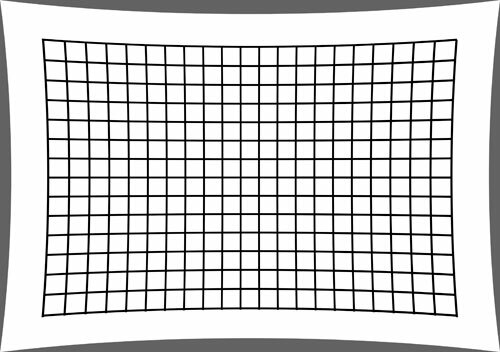 To capture depth (or at least the illusion of this third dimension) requires two images being shot that are slightly off angle, similar to how we see with our eyes. Then the two need to be displayed as a stereoscopic image that we view with some sort of 3D technology, which can be as simple as a classic ViewMaster or as complex as a new 3D TV with 3D glasses. In the past, to shoot 3D images required either a stereoscopic camera with two discreet lenses or more recently, a specialized stereo lens that can go onto a regular camera that takes interchangeable lenses. Some of the newer cameras offer a 3D feature that does not require a special lens. You simply take one shot and then move the camera slightly and take another shot and the camera creates a stereo image (with an .MPO [Multi Picture Object] file name extension) that can be played back on a compatible 3D TV. 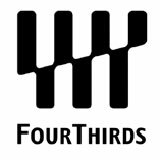 The term describes a specific camera sensor - called appropriately Four Thirds - that has an aspect ratio of 4 to 3 and its imaging area measures 17.3mm by 13.0mm (.68 inches by .51 inches). The aspect ratio is a departure from the 3 to 2 proportions of 35mm film. The Four Thirds sensor is over 30% smaller than an APS-C sensor. Don't confuse a Four Thirds sensor with a Micro Four Thirds camera. The terms are related since all Micro Four Thirds cameras contain a Four Thirds sensor, but the proper title for the sensor is Four Thirds. Shorthand for a video format that is 1280x720 pixels in resolution. The "p" means progressive scan. The common designation 720p/60 means video that is being captured or displayed in 1280x720 resolution, with each frame progressively scanned, at 60 frames per second. An in-camera filter that reduces the jagged and moiré effect (the dizzy stripes and colorations that are called “aliasing“) in images. Since AA filters work by adding a slight blur to the image, some cameras like the Nikon D800 offer a version with the AA filter removed, which will produce a slightly sharper image. 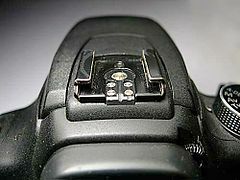 Slip your external flash into the metal "shoe" on top of the camera - or your mic or wireless connector. The shoe is designed to automatically work in tandem with the camera. 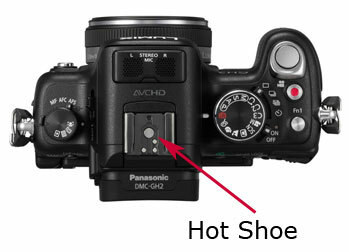 The term is sometimes used interchangeably with "hot shoe," because it also can be used for a power supply. When speaking of cameras, this term usually refers to a mount adapter that is used to connect a camera body to a normally non-compatible lens. Adapters are customized by manufacturers for specific lenses and specific cameras. A caveat here: Some adapter and lens combinations may limit the full functionality of the camera. For example, it may not be able to auto-focus the lens. Even worse, some seemingly adaptable mounts can allow the lens to interfere with the inner workings of a camera, so take care to inquire before any damage is done. With the Auto-focus feature, a camera automatically determines the subject's distance from the camera (lens) and focuses for you. The quality and ability to properly focus varies from camera to camera, including the speed, the accuracy, the type of mechanism for focusing, and the ability (or not) to focus in low light. Many photographers additionally desire a manual option because it gives them control over exactly where and when to focus. Some cameras emit a beam of light that assists its auto-focus function to “see” and focus your shot in low light conditions. 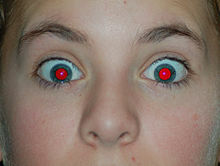 It may also activate the red-eye feature that erases that ghoulish vampire look. It turns on when you press the shutter release half way. If you are shooting in stealth mode or you do not wish to distract people, the AF assist beam can be a problem. You should be able to go into the camera's menu to turn it off. But if your camera then has a hard time auto-focusing, you will need to manually focus the shot. A camera using film is analog – as opposed to a digital camera that records in 0’s and 1’s onto digital memory cards. Simply said, the old 35mm cameras were analog; a large majority of the photographic world has moved on to digital. Two components control the amount of light entering the camera and striking the sensor, the aperture and the shutter. The shutter is in the camera body and acts like a gate either letting light in or not. You regulate the amount of time the shutter is open by adjusting the shutter speed. The aperture is actually part of the lens and is composed of a series of overlapping metal blades that can be adjusted to make a larger or smaller hole allowing light to pass through the lens and into the camera. From there, the shutter determines how long that light will be allowed to hit the sensor. Think of an aperture as operating like the iris of your eye: in the bright sun, the iris shrinks, screening out the intense light; when too dark, the iris widens to let in more light. The aperture size is measured in numerical f-stops. In what seems like reverse logic, the higher the f-stop, like f/22, the smaller the aperture. And as the f-stop gets smaller, (like f/2.8), the aperture opens wider. Craziness, perhaps, yet mathematically logical because f/stops are calculated as a ratio. The common f/stop progression is 1.4, 2.0, 2.8, 4, 5.6, 8, 11, 16, and 22. Not all lenses provide all these aperture options. Many zoom lenses can only open the aperture to around 4. Changing the aperture from one of these settings to the next is called a "stop." Therefore when you go from 5.6 to 8 you are closing down the aperture (making it smaller) one stop. And here's one more assbackwards item to remember. Each stop makes the aperture half the size of the one below it (or twice, depending on which way you are going). The aperture opening at f/8 is half the size of the opening at f/5.6. If you go two stops to f/11, its 1/4 of the size of f/5.6. If you have been following along, you can see how the aperture and shutter can work in tandem and how you can adjust one to compensate for adjusting the other. For example, let's say you are on a hike and you see a deer standing in the meadow in the sunlight. To get a good exposure, the shutter speed setting might be 1/250th of a second and the aperture about f/11. You could also obtain the same amount of light with a shutter speed twice as slow, 1/125th of a second, and with an aperture half as large, f/16. You take a couple of photos and the deer hears you and runs into the shadows. You still need the same amount of light for a proper exposure, which means decreasing the shutter speed or increasing the aperture opening or both. Aperture Priority - On cameras that offer this option, you can select your aperture and the camera will automatically adjust the shutter speed setting and ISO number to give you a proper exposure. 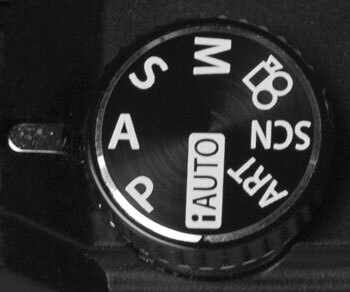 Usually the Aperture Priority setting is indicated by a capital A on the mode thumbwheel or in the on-screen menu. This sensor takes its name, Advanced Photo System type-C (for Classic), from a type of film that never became popular. This image sensor format, which is common in DSLRs, has an aspect ratio of 3:2 and is smaller than the traditional 35mm format but is much larger than sensors found in point and shoot compact cameras. Depending on the manufacturer, APS-C sensors vary in size, hovering around the 25.1mm × 16.7mm dimensions. Initially, camera makers adopted the APS-C format because the sensors were cheaper to produce than a full frame (36mm x 24mm) one, but it was still big enough to greatly increase a camera’s performance, especially when shooting in low light situations. In recent years, another size of sensor, Four Thirds, has become another practical alternative to full frame types. The Four Thirds sensor is used in Olympus and Panasonic Micro Four Thirds (MFT) mirrorless cameras. 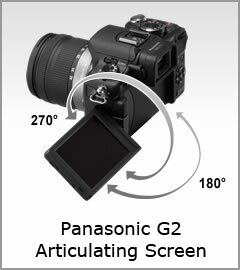 The screen that swivels, pivots or articulates off the back of the camera. It allows you to preview or frame a shot, to see that shot in playback, and to take pictures from weird positions. (You can use it for self portraits because you can compose the shot and shoot as you look at yourself in the screen while holding the camera at arms’ length.) Also called vari-angle or free angle LCD or swivel LCD. In contrast, a flip screen only swings side to side or up and down. 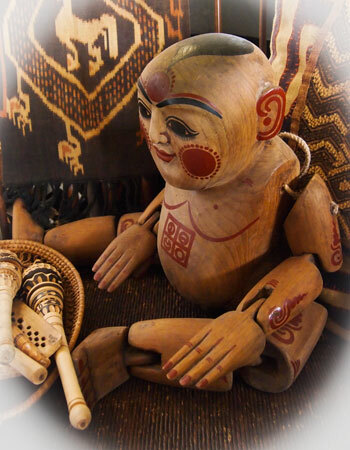 From a medical dictionary, an artifact is an artificial product not naturally present. On your image, that could be the jagged lines made by the square pixels, the discoloration and disfiguration caused when tree leaves appear against a bright sky or when stripes go haywire and create weird rainbows. When using photo editing programs (like Photoshop), even more artifacts can mar your images like the unnatural edges resulting from misapplying software options like over-sharpening. Then again, Photoshop can also help minimize the artifacts. ASA - American Standard Association - A film's sensitivity to light, or film speed, is designated by an ASA number. A digital camera uses ISO to indicate the image sensor's light sensitivity. The former was selected by purchasing the ASA designated on a roll of film. The higher the number, the more sensitive the film. For example, PlusX had an ASA of 125. The more sensitive TriX was rated at an ASA of 400. 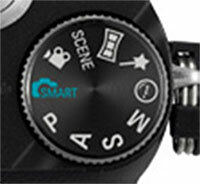 Now you can select the sensitivity or speed internally in your digital camera by adjusting its ISO. If you so desire, you can change the ISO between each shot, which gives you much more flexibility than with film. 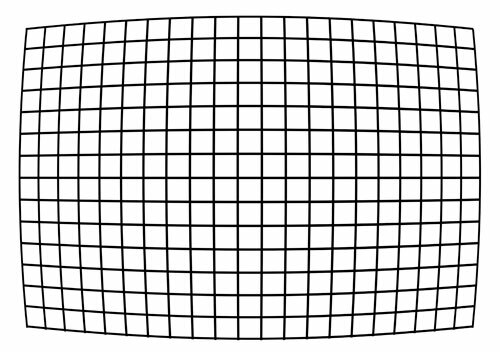 The ratio of the horizontal measurement of an image to the vertical. The native aspect ratio of a digital camera is determined by the dimensions of its sensor. For example, the sensor in a Micro Four Thirds camera, as the name suggests, has a 4:3 A/R. DSLRs shoot in a 3:2 format. With many newer cameras, you can set them to take pictures in a variety of aspect ratios, including square 1:1 and widescreen 16:9 (good for displaying on HDTVs). Why should you care? If you want to make 6 inch by 4 inch pictures at Costco, and you shot with a 3:2 ratio, (do the math), then the whole image will be printed without cropping off Aunt Emma's head or the top of the Eiffel tower. As an historical note, the early large format cameras often used 4 inch by 5 inch or even 8 inch by 10 inch film, which is one of the reasons that 8 x 10 photos became popular. Nowadays, most digital cameras do not shoot in the 4:5 A/R, therefore we are stuck cropping the image to fit into a 8 x 10 frame. Many cameras can be set to automatically bracket (to take a number of the same shots at sequential exposure settings, usually with a tripod). The photographer selects the settings, the number of shots and the order of those shots. Later you can select the image with the best dynamic range in shadows and highlights by comparing the exposures. And some editing programs can combine those images to further stretch the dynamic range, thus making dark areas lighter and giving bright washed out areas more detail. The abbreviation used for black and white photography and a picture option available in some cameras. These images sensors are a redesign of the traditional CMOS (Complementary Metal-Oxide Semiconductor), which makes them more responsive and sensitive, ideal for photographing in low light environments. Though, the advantages of backlit CMOS sensors seem to diminish as the sensor size is increased. Therefore, currently, most backlit CMOS sensors are appearing in smartphones and smaller sensor cameras. Simple barrel distortion can often be corrected in programs like Photoshop. The out-of-focus blur (sometimes attractive, sometimes ugly) that appears in front or behind the in-focus subject of your photo. Telephoto lenses used for portraiture are prized for the bokeh that leaves the important parts of the face in crisp focus while the surrounding bokeh blur serves to minimize and simplify extraneous detail, hence enhancing your subject. From the concept of “grouping,” photographers often shoot a single image several times, each with a sequential exposure, usually to offer the optimum choice of lighting in the reproduced picture. Some cameras offer automatic bracketing. You tell the camera how many bracketed shots to take, usually three or five. By combining the bracketed images in a software program, a wider range of detail can be incorporated into a single shot, called an HDR or High Dynamic Range image, yielding more detail in the shadows and in the highlights. Many digital cameras contain a buffer memory chip which holds your just-shot images. Between the time the shot is captured, processed and “written” onto the more permanent storage of the removable memory card, it is stored temporarily on the back-up buffer. The buffer cuts down the wait time between shots, and helps with the processing. When shooting in bursts (continuous rapid shutter firing), the camera needs the buffer to free up the busy camera for more shooting. The larger the buffer, the speedier the camera can shoot. This manual feature allows you to expose the picture for as long as you keep your finger pressed down on the shutter release. Cameras offer various selections for shutter speeds; for an even longer exposure, use Bulb Mode, usually found by scrolling the shutter speed wheel to the slowest speed, then Bulb Mode will appear - if there is one. Bulb mode is useful in low light situations, like photographing the Northern Lights. If you want the photo to be in focus, use a tripod to keep it steady. But even then, the slight vibrations caused by your finger holding down the shutter release can blur your image. To solve that problem, on many cameras, you can attach a cable to your shutter release button. Historically, this shutter release mechanism had a squeeze air bulb on the end of it, hence the name bulb mode. You can still buy air bulb actuated releases. Also called Continuous mode because this camera feature allows you to shoot photos in “bursts” - in rapid-fire succession. The speed of the bursts are measured in frames per second (fps). When in Burst mode, you press and hold down the shutter release and the camera fires as fast as it can. The rate of the burst depends on a number of factors including the size of the image you are capturing (smaller, compressed JPEGs yield a higher fps) and the speed and capacity of the camera's internal image buffer, as well as the write speed of your memory card. Typically, the images sensors in digital cameras are either CCD's or CMOS, both convert light into electrons, which are then converted to digital signals. Historically, CCDs were valued for the high resolution, low noise image quality they produced. While CMOS sensors were cheaper to make and used less battery power. Now, the differences between the two has diminished. Still, you will find strong advocates of both sensors. CID or Charge-Injection Device, this type of image sensor achieves higher dynamic range and superior antiblooming performance over the CCD and CMOS sensors commonly found in consumer digital cameras. CIDs are also tolerant to extreme radiation, which makes CID-based cameras ideal for nuclear, medical, industrial and scientific applications. Typically, the images sensors in digital cameras are either CMOS or CCD's, both convert light into electrons, which are then converted to digital signals. Historically, CMOS sensors were cheaper to make and used less battery power. While CCDs were valued for the high resolution, low noise image quality they produced. Now, the differences between the two have diminished. Still, you will find strong advocates of both sensors. See also Backlit CMOS Sensor. 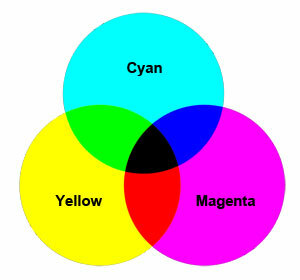 CMYK - Cyan Magenta Yellow Black - The four color system used for print in magazines and newspapers, (as opposed to RGB - Red Green Blue - the color system used for digital reproduction on TVs, computers and digital print photos). CMYK is a subtractive color system as opposed to RGB, which is an additive one. In photography, a color filter array (CFA), or color filter mosaic (CFM), is a mosaic of tiny color filters placed over the pixel sensors of an image sensor to capture color information. Color filters are needed because the typical photosensors detect light intensity with little or no wavelength specificity (black and white), and therefore cannot separate color information. The color filters filter the light by wavelength range, such that the separate filtered intensities include information about the color of light. For example, the Bayer filter gives information about the intensity of light in red, green, and blue (RGB) wavelength regions. The raw image data captured by the image sensor is then converted to a full-color image (with intensities of all three primary colors represented at each pixel) by a demosaicing algorithm which is tailored for each type of color filter. The spectral transmittance of the CFA elements along with the demosaicing algorithm jointly determine the color rendition. The sensor's passband quantum efficiency and span of the CFA's spectral responses are typically wider than the visible spectrum, thus all visible colors can be distinguished. The responses of the filters do not generally correspond to the CIE color matching functions, so a color translation is required to convert the tristimulus values into a common, absolute color space. Typical Color Filter Array Patterns Bayer filter - Very common RGB filter. With one blue, one red, and two green. RGBE filter - Bayer-like with one of the green filters modified to "emerald". CYYM filter - One cyan, two yellow, and one magenta; used in a few cameras of Kodak. CYGM filter - One cyan, one yellow, one green, and one magenta RGBW Bayer - Traditional RGBW similar to Bayer and RGBE patterns. When set on continuous autofocus, (also called AI SERVO), your camera will automatically refocus your shot as your subject moves through the frame, allowing you to capture a series of images quickly without having to pause to manually refocus. This mode is great for photographing wildlife and sports and for shooting video. This method of auto-focusing a digital camera works under the principle that the greater the difference between adjacent pixels, the more in focus the camera is. Therefore, the lens motor keeps readjusting the lens until it finds the optimal contrast between pixels on the sensor. The process normally entails the camera to slightly overshoot the proper focus point and then backtrack to ensure that the sensor has found the optimum contrast. In dimly lit (low contrast) situations, Contrast Detection systems will tend to have a problem finding proper focus and may end up “hunting” unsuccessfully. Different manufacturers employ their own labels for their mirrorless cameras. Panasonic uses Compact System Camera (ILC). The ILC acronym stands for Interchangeable-Lens Camera. When you focus on a subject, there will be an area around that focal point that will also be in focus. That area in front of and behind your focal point is called the depth of field. If you set your lens to a large aperture opening, represented by smaller f/stop numbers, the depth of field will be less than shooting the same shot with the lens set to a small aperture, (larger f/stop numbers). Photographers often desire a narrow depth of field because the background in soft focus does not detract from the eye looking at the in-focus subject. "Digital Single-Lens Reflex" cameras (digital SLR or DSLR) are digital cameras that use a mechanical mirror system to redirect light coming through the lens to an optical viewfinder on the back of the camera. DSLR cameras offer a variety of interchangeable lenses. Most DSLRs also enable accurate preview of depth of field, and their optical viewfinders allow for accurate framing of the subject. They typically have larger sensors than most compact digitals, which contributes to higher image quality. DSLR sensors can be closer in size to traditional film formats, so they allow for similar depths of field and picture angle to film formats, as well as comparatively high signal to noise ratio. The term DSLR generally refers to cameras that resemble 35 mm format cameras, although some medium format digital cameras are technically DSLRs. A small LCD [or OLED] screen that electronically displays the image coming through the lens, allowing you to frame and check the focus of your shot. Many cameras have EVFs integrated in their bodies. Other models offer the option of attaching an EVF to their hot shoe. 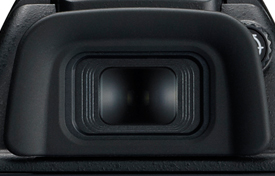 When you put your eye up to the EVF, you effectively block out any ambient light. Many digital cameras only provide larger LCD viewing screens and not EVFs. This screen's larger size is an advantage, but whether they flip-out or not, it can still be very difficult to use in bright light conditions, especially in the sun. So hail the EVF. Of course, most manufacturers charge more for cameras with built-in EVFs and the add-on EVFs often cost at least $250. 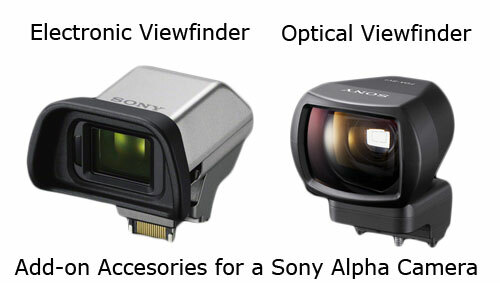 A few manufacturers also offer the option of an optical viewfinder. But EVFs are able to display ancillary content, like a histogram, on their tiny screen. Optical viewfinders cannot. "Electronic Viewfinder, Interchangeable Lens" , one of several marketing/PR acronyms used for the new class of mirrorless cameras that feature electronic viewfinders and a system of interchangeable lenses. 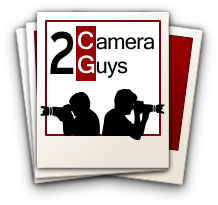 They are more commonly referred to as Compact System Cameras (CSC), or Mirrorless Interchangeable Lens (MILC) cameras. Exchangeable Image File format or metadata - Image files are the equivalent of the old timey negatives, but they also store all kinds of additional photo information in the EXIF that is piggybacked onto the image. The EXIF includes data like camera model, exposure, shutter speed, f-stop, aperture, resolution, flash, color and brightness data, etc., as well as time, date and location (if your camera has a GPS feature). Stuff you might forget, but need six months from now, or need for reproducing the image today. The famous Life Magazine photographers would have sold their souls for this modern bonanza. They had to stop and write or remember all that info and data that is now embedded in the image. Some cameras automatically switch to the electronic viewfinder and turn off the LCD screen when it senses the photographer’s face (eye) approaching to look through the viewfinder. Other cameras require you to manually change from one to the other. Of course, these proximity sensors do not discriminate. Therefore if your hand accidentally brushes near the sensor, it will turn off the LCD screen even when that's not your intent. The size of a camera lens aperture is designated by an F-stop number. The larger the number, the smaller the opening. These are the F-stop numbers in order: f/1.4 - f/2.0 - f/2.8 - f/4 - f/5.6 - f/8 - f/11 - f/16 - f/22. Remember, (in a bit of reverse logic, but mathematical abracadabra), as the number increases to the next higher stop, the aperture becomes half the size and the light entering the camera is halved. Yikes, there are also cameras that register half stops. Many lenses, especially zoom lenses, have a narrower range of apertures. For example some cannot open any wider than f/4 or f/5.6. A camera lens has a range of aperture settings which define how much light it allows into the camera. Since a larger aperture lets in more light, you can shoot with a faster shutter speed. Therefore a "fast lens" is one that has a relatively wide maximum aperture. Apertures are measured in f/stops. The smaller the f/stop number, the larger the aperture opening. For example, f/1.4 is faster than f/22. Usually a lens needs a maximum aperture greater than f/2 (such as f/1.8 or f/1.4) to be considered fast. A fast lens is usually heavier, more complicated and not surprisingly, more expensive than the same company's slow version of the same millimeter lens. A lens can be either Zoom or Fixed. As the name indicates, the Fixed lens only has one focal length, like 90mm, and therefore it only presents one angle of view. If you want your subject to fill more of the frame, you will have to move closer to it. Fixed focal length lenses are often called Prime lenses. Measured in millimeters, the distance between the focal point of the sensor (which lies flat against the back of the camera parallel to your scene, just like the film of yore) and the optical center of the lens. 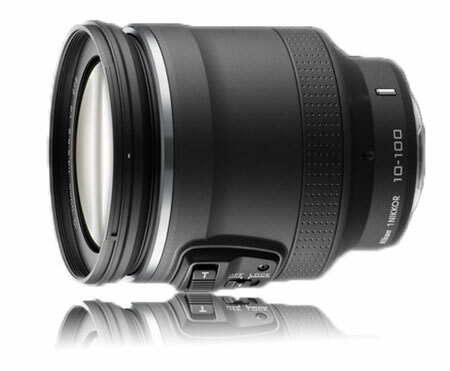 A 50mm prime lens measures that distance between the focal point and the lens' optical center. It's called the “normal lens” because it captures an angle of view akin to our peripheral vision. A 300mm (telephoto) lens narrows that angle of view and fills the frame, which makes it seem like we are closer to the subject. Conversely, a wide angle lens (like a 20mm lens) expands the viewing angle beyond our normal peripheral vision, and it looks as if we are farther away from the subject. Note that these are fixed lenses. Zoom lens change focal lengths as we zoom in and out since the optical center is moving closer or farther from the sensor. Manufacturers of digital cameras often provide a 35mm camera equivalent so that film photographers do not have to do the calculations. Whew. 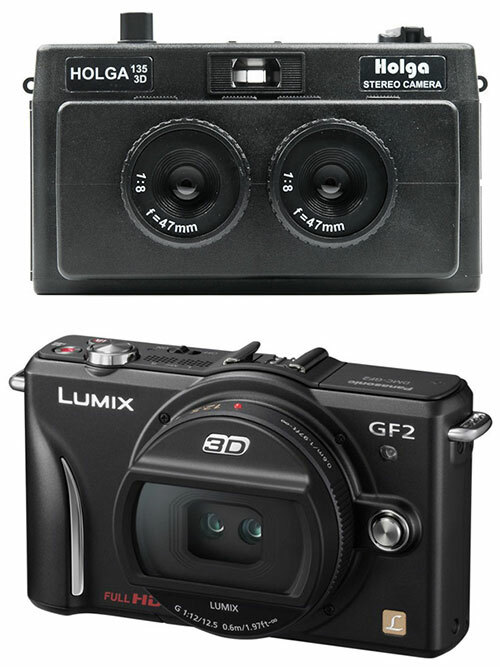 With digital cameras these days, the term fps applies to two different but related features. First, with many cameras, when you are shooting still images, you can turn on a continuous shooting mode (or burst mode) and the camera will capture one still image after another as long as you hold down the shutter release. The speed of this function is measured in frames per second. For example, a camera might be capable of capturing 6.5 fps. Secondly, since many cameras also can shoot video, fps also applies. Normal broadcast video is 30 fps in the U.S. and 25 fps in most countries in Europe. 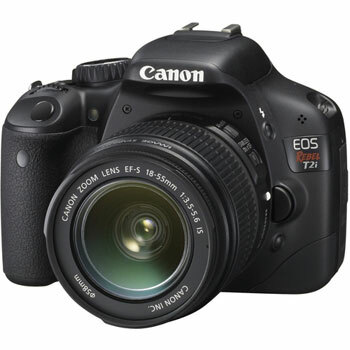 You can also find digital cameras that can record video in 24 fps, which is the frame rate of motion pictures. This feature is becoming more common on cameras. It registers where you are when you snap a photo and adds the longitude and latitude on to your photo's file information. This location data can be especially helpful in identifying where you took photos when you travel. Beware that when you upload photos to sites like Facebook or Flickr, that information is usually included in the file, unless you intentionally strip it out. If you are protective of your privacy, the simple solution is to not use GPS. If you like the idea of GPS and your camera does not have it built-in, you can often find GPS accessories that you can attach to your camera. Most grips are integrated as a sculptural appendage of the camera body. Occasionally it comes with the camera kit and can be screwed on if desired. 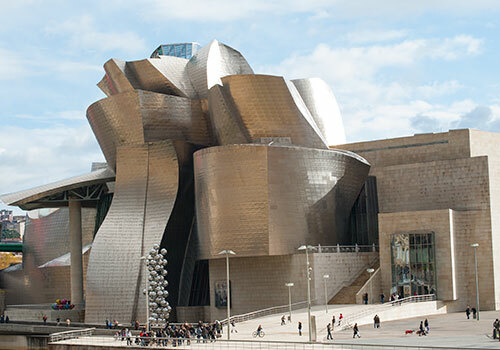 Imagine that it's a bright shiny day and you are shooting architect Frank Gehry’s metallic Guggenheim Museum in Bilbao. As your camera attempts to capture the whole scene with the proper exposure, the bright roof and sky tend to be blown out (overexposed), while some patterns of the curvaceous shapes in the darkest shadows are hidden (underexposed). The amount of detail that your camera can capture in the two extremes in a single shot constitutes a measurable dynamic range. A high dynamic range means that the image will display more details in the brightest and darkest lit spots. Often to achieve a high dynamic range. photographers will take multiple shots of the same scene but at different exposures that are then assembled to bring out the maximum detail in the extreme lighting conditions. Some cameras have an in-camera HDR feature. You select the mode and press the shutter; the camera shoots multiple exposures then processes them into one "ideal" picture. Many photo editing programs also offer an HDR option, which can give you more creative and aesthetic control over the final HDR image. Caveats - The in-camera feature uses lots of battery and can slow down the camera lag time between shots. Since you are taking multiple exposures, a tripod helps keep the camera steady. And rambunctious kids and fast-moving sports make multiple-identical shots impossible, hence awkward to assemble for HDR. Finally, some believe that since HDR technology has become more common in the last few years, it has been overused. Beyond that, because we have been accustomed over the last 150 years of photography to looking at not-HDR photos, the extended dynamic range in HDR images can look unreal. The metal "shoe" on top of the camera often used to attach a external flash. This "accessory shoe" can accept other add-ons like microphones or wireless adapters. The term was coined because the shoe also can be used as a power supply. The image sensor is the heart of a digital camera. It captures the image - in the form of light - coming through the lens, like film does in analog cameras. This device (or chip) captures and converts an optical image (composed by light) to electronic energy, (the digital version of the old chemically light sensitive film) that can be stored, moved or manipulated (the digital version of the old processed film negatives). As a general rule, the bigger the sensor the better. Also called Vibration Reduction (VR), this feature solves a persistent cause of blurry photos, the slight shake when hand holding a camera. Depending on the camera, image stabilization technology is either integrated into the camera body or separately in the lens. The advantage of IS being integrated into the camera is that you will have it no matter what lens you put on. Depending on how jittery the photographer is blur will be evident as the shutter speed becomes slower. For all but the rock steady any speed below 1/60th of a second is problematic. And long telephoto lenses aggravate the problem. Good IS often will allow the shutter speed to be reduced to around 1/15th of a second. Of course, if your subject is moving, they will look blurry at that speed. While self-explanatory, cameras that are compatible with a wide range of lenses signal a step-up from a point-and-shoot camera – and even from a camera with a fixed zoom lens. The ability to interchange lenses makes the camera more flexible. Of course, the down side is that many of these lenses can cost more than the camera body itself. Akin to a film's ASA, a digital camera's ISO is the number that informs you of the sensor's sensitivity to light. The higher the ISO number, the more light sensitive the sensor. Digital cameras allow you to adjust the ISO according to the shooting conditions. Historically, the normal ISO range was confined to between 200 and 800. But sensors are continually improving and the ISO range for many have expanded to between 100 and 6400 (and even beyond). The higher ISO is better for low light photography (sees more light in dark), sports (allows for capturing athletes in action) or in bouncy camera conditions (allows faster shutter speed). But note, the higher the ISO, the grainier or noisier the final image can be. One advantage that digital cameras have over film cameras is that you can select your ISO number between each shot with an in-camera setting, rather than changing out a roll of film to switch to a different ASA speed. The Joint Photographic Experts Group developed and decreed a standard for compressing a digital image (by a method called “lossy compression”, “lossy” for lost data), which makes the file smaller. Depending on your camera, you often can select the amount of JPEG compression that the camera will process, with options like Basic, Normal, and Fine. The more the compression, the smaller the file but also the image quality decreases. Though for many people, the image quality loss is not noticeable or at least not objectionable, especially if they are not trying to enlarge the photo. Capturing JPEG images are ideal for point-and-shoot cameras. On higher end cameras, photographers usually have a choice of saving JPEGs or RAW files, which are uncompressed and much larger in file size. Some cameras now offer the choice of capturing both a JPEG and a RAW file with each shot. JPEGs are compatible with a wider range of playback devices and the RAW file is preferred by many for post-processing. All the contents in the camera box, including the camera body, a lens, a strap, lens cap, battery, battery charger, software, manuals, etc. The lens the camera manufacturer includes in the camera kit, very often a versatile zoom like an 18-55mm. As you would expect, the complete camera kit, (lens plus body), is less expensive than buying the camera body and lens separately. 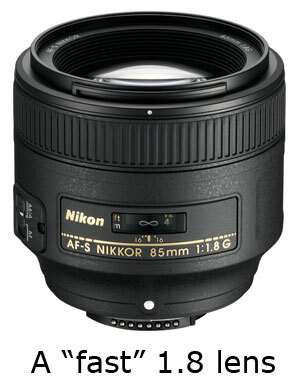 Kit lenses commonly apply to cameras like DSLRs or mirrorless models, which allow for interchangeable lenses. Often you can buy the camera body only and attach lenses that you already own. But if you don't have any lenses, purchasing a kit with the lens is a good way to get up and shooting with a minimal amount of fuss and cost. Since kit lenses are usually not the most expensive ones made by the manufacturer, enthusiasts have a tendency to dismiss them. But many kit lenses are good quality workhorses that never get replaced by their owners. The time delay between the moment you push the shutter release button and when the camera actually takes the picture. This notion of lag time can be expanded and parsed. For example, in a real world sense, you see a shot that you want to take. Usually the camera has to autofocus and autoexpose on your subject before it can release the shutter. This process adds to the lag time. And practically, until the camera is ready to snap the next shot, that is part of the lag time. Ideally, the lag time should be as short as possible, allowing you to catch a fleeting moment. Cameras now are bragging about lag times as fast as 20 milliseconds, that's .02 of a second. And many nimble models can fire off five to ten frames a second. The location on a camera (with interchangeable lenses) where the lens attaches to the camera is called the lens mount. Manufacturers design a camera's lens mount to accept specific lens. Other non-compatible lens will not attach properly. 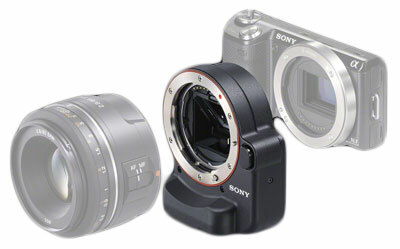 For example, the mount on a Sony NEX mirrorless camera is labeled a Sony E-mount and accordingly E-mount lenses are compatible. To attach a non E-mount lens, you need a lens adapter that was built to connect to an E-mount camera and a specific type of lens, like the Sony A-mount lens. If you don't use the proper combination of lens mount and lens (or adapter), you can harm your equipment. The discussion of lens mounts does not apply to fixed lens cameras like point and shoot types since there is no possibility of attaching another lens to these camera bodies. One megapixel equals one million pixels, (or about one million pixels). The image sensor on a digital camera is measured two ways, by its physical dimensions (e.g. 36 x 24mm) and by the number of megapixels embedded on it (e.g. 14 MP). Common wisdom says that the more megapixels on a sensor, the higher the quality of the image. This adage was more applicable in the early history of digital cameras (way, way back around the turn of the century) when the highest megapixel count was about 3 MP. Now with many cameras and even smartphones pushing beyond 12 MP, the focus has changed to the size of the sensor and other factors like the quality of the lens and the camera's circuitry and processing algorithms. People are even discussing the notion of too many pixels overcrowding the sensor. A veteran camera salesman was heard saying, “Megapixels are not important to me anymore.” Perhaps that is a bit of an overstatement, but the megapixel's status has declined. Mirrorless Interchangeable Lens Camera, this term is probably the most accurate description for this type of camera. Other names range from EVIL (Electronic Viewfinder, Interchangeable Lens) to CSC (Compact System Camera). You can read about the Mirrorless Camera Revolution here. Usually located on the top right or back right side of many manual optioned cameras, this wheel (commonly turned by the thumb) allows the photographer to select and set different camera modes, without accessing an on-screen menu. The four options often on the thumbwheel are the PASM exposure modes: Program, Aperture Priority, Shutter Priority or Manual. Cameras will also include Movie, Panorama and Scene modes. Near field communication (NFC) is a set of standards for smartphones and similar devices to establish radio communication with each other by touching them together or bringing them into close proximity, usually no more than a few centimeters. Camera manufacturers have included this feature in the camera hardware to facilitate quick transfers of photos from your camera to your smartphone via Wi-Fi. Data is not transferred using NFC, but NFC enables the initiation of the transfer and identifies which devices to transfer data between via Wi-Fi. 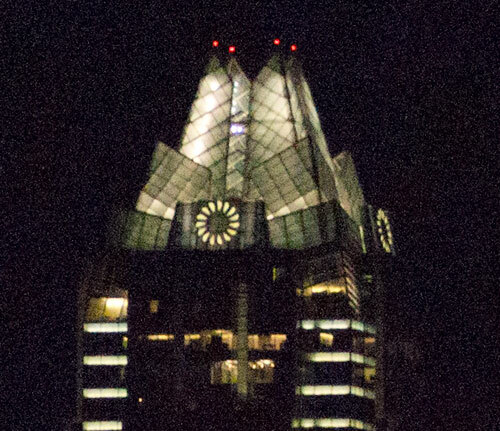 Just take a picture where there is not enough light and print it or enlarge it on your monitor. You will notice a bunch of irritating spots and blotches in the darker areas. This is described as Noise - a most annoying digital artifact. You may also see it in solid colors, like the greenish, bluish, reddish purple spots creeping into your bright blue sky. They are errant pixels that are straying or mutating because of too much or too little light. When you set your camera to a high ISO (to compensate for a low light situation) you often will introduce noise into the image. The color of noise is often speckled with purple, because the noisier channels of color are red and blue. 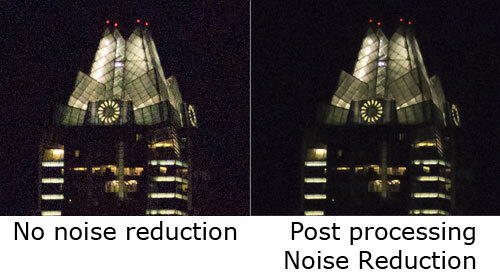 Noise reduction is a process that tries to solve the noise artifacts created in images. Some digital cameras offer this option, usually as a menu item titled High ISO NR or something similar. But the best noise reduction is a better camera with better more refined sensitive components used in the proper lighting conditions. Even then, every camera can be stretched to its inability to reduce noise. As it sounds, too much light on the photo. The result is the loss of colors and details. Overexposure can be solved by reducing the amount of light hitting the sensor. You can either increase the shutter speed, for example from 1/60th of a second to 1/125th or make the aperture smaller, for example from f/5.6 to f/8. With digital cameras, you can also dial down the ISO setting, for example from ISO 800 to 400. If your camera is consistently overexposing, many cameras have an EV function that you can adjust. You may also be able to rescue an overexposed image in a post-processing program like Photoshop. A wide angle image that is usually wider than your camera and lens can capture in one exposure. A panorama feature is often one of the many seductive offerings on new multi-gadget cameras, in which the camera will take multiple exposures and then stitch them together into one seamless (hopefully) sweeping vista panorama shot. Some cameras will automatically shoot a rapid fire sequence of shots as you rotate the camera in the direction of the on-screen arrow. Other camera provide a more manual and mechanical technique, in which you move the camera from shot to overlapping shot according to on-screen guidelines. Then the camera will stitch the shots together or you will have to export them to a photo editing software program. Shorthand for the exposure modes often found on a camera's thumbwheel: Program, Aperture Priority, Shutter Priority, and Manual. To achieve a proper exposure, you or your camera has to determine the correct combination of shutter speed, aperture size and ISO sensitivity. In Program mode, the camera selects all the settings for you. In Shutter Priority, you select the shutter speed and the camera adjusts the aperture according to the ISO setting. In Aperture, the shutter speed will adjust. In Manual Mode, you pick both the aperture size and shutter speed. 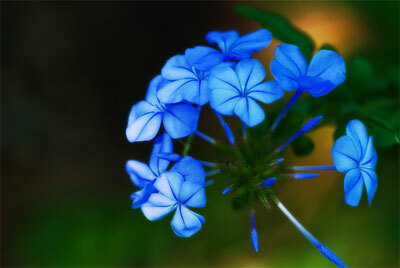 This method of auto-focusing is commonly used in a DSLR. Part of the image coming through the lens passes through the main mirror and bounces off a secondary mirror down to pairs of Phase Detection sensors. Then the auto-focus system analyzes the difference between the image that strikes each pair of sensors and adjusts the lens to bring the images into phase or in other words, into focus. The advantage of phase detection is that the initial analysis tells the lens precisely which way to move, making the auto-focusing quicker than with the contrast detection system. One of the disadvantages is that when the DSLR is in Live View, the main mirror is flipped up and the phase detection system is disengaged. For more information of passive autofocusing, see Contrast Detection. A concave warping can occur on the outside edges of an image appearing compressed or pushed softly towards the center of the shot, (the opposite of barrel distortion). 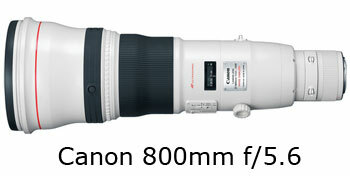 Cheaper telephoto lenses, zoom lenses (zoomed in to the max), and converters can launch the effect. Image editing programs like Photoshop can often correct simple pincushioning. Historically, photographers manually twisted the zoom lens to frame their shot. With the newer power zoom lens, you zoom by pushing a rocker lever and a little motor in the lens changes the zoom. Power zooms are especially useful when shooting video, because a good power zoom will produce a smooth zoom effect with a minimum of audible whirring. Of course, power zooms are often much more expensive than manual zoom lenses. And many filmmakers and videographers consider the zoom shot an overused bane of their craft. Basically there are two types of photographic lenses, prime and zoom. 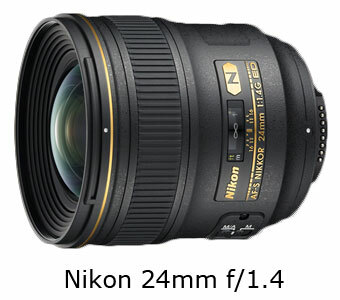 A prime lens has a fixed focal length, such as 28mm. A zoom lens covers a range of focal lengths, such as 28 - 200mm, which makes them more versatile. But prime lenses often possess superior optical qualities, which can produce sharper, less distorted images. Also they usually have a larger maximum aperture than zoom lenses, allowing you to shoot in lower light or with a faster shutter speed. Prime lenses come in a wide range of focal lengths from the ultra-wide angle 14mm to a popular portrait 105mm to a super telephoto 800mm. Depending on their features and quality, prime lenses can cost as little as $100 or as much as a used Mercedes. Photographers can become quite passionate about the benefits of one format or the other. Since RAW files are uncompressed, they require more space to process and store than a JPEG, which can slow down your camera from being ready to take your next shot. But if you like to tweak your photos in a program like Photoshop, then RAW files will supply you with the most complete and unprocessed data. If you plan to take your images directly to a photo printer, then set your camera to capture JPEGs. Because cameras are getting faster and memory cards are getting cheaper, some cameras offer the option to save an image in RAW and JPEG at the same time, which gives you the possibility to utilize the assets of either format, depending on your needs. The ghoulish werewolf red pupils caused by a direct flash from the in-camera flash unit reflecting in your subjects eyes. Flash coming from an angle (even one attached to the hot shoe) may avoid the anomaly. Manufacturers now offer a “red-eye reduction” option on many of their cameras. A software program for your computer that can trip the shutter of a connected digital camera in a remote location. While there are purported excuses for this creepy possibility, the party line claims this is great for delivering, viewing and storing images directly to your computer from places the could be inappropriate for you to be photographing. Yikes! In fairness, it might be wildlife or time lapse photography (like shooting a sunset at regular intervals). In digital cameras, resolution is defined by the number of pixels on the sensor, for example a 12 MP (one megapixel = one million pixels) sensor. The more megapixels, the higher the resolution. A high resolution sensor can capture high resolution images. And high resolution images are desirable when you want to print large photos. For example, a 8 x 10" photo printed at 300 pixels per inch would require an image sized 2400 x 3000 pixels or 7.2 MP. Though these days, many software programs can enlarge lower resolution images with good success. Be that as it may, the drive by manufacturers to produce cameras with higher and higher resolution sensors remains strong, with cameras over 20 megapixels becoming a more common sight. But picture quality is determined by more than pixel count. Factors like the optical quality of the lens and the processing quality of the camera can be just as important. In the photography world, sensitivity refers to how much light is necessary to capture an image. With traditional film cameras, the film's sensitivity to light was denoted by its ASA number. With digital cameras, film has been replaced by a sensor and its sensitivity is defined by an ISO number. In both cases, the higher the number, the greater the sensitivity to light. But, the higher the ISO, the grainier or noisier the final image can be. 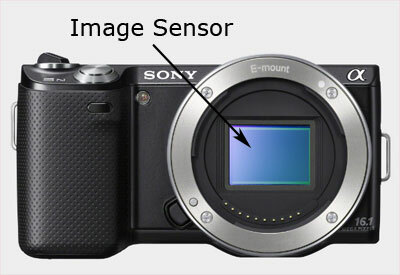 The sensor (or more formally the image sensor) is the heart of a digital camera. It captures the image - in the form of light - coming through the lens, like film does in analog cameras. The shutter is one of the fundamental elements of a camera. When the shutter is open, the image coming through the lens, in the form of light, hits the sensor in a digital camera (or the film in a traditional camera). To capture a properly exposed image, you must control the amount of light hitting the sensor. One way is by how setting how long the shutter is open and therefore letting light in. You can do that by adjusting the camera's shutter speed. Another basic method of regulating the light is by adjusting the aperture of the lens. Film cameras, as do higher-end digital cameras, employ a mechanical shutter, which is basically a door that physically opens and shuts. Many point-and-shoot digital cameras use an electronic shutter which simply signals the sensor via its circuitry when to begin recording light and when to stop. Some digital cameras use both types of shutters with the electronic one enhancing the functions of the mechanical. Ideally, the lag time should be as short as possible, allowing you to catch a fleeting moment. Cameras now are bragging about lag times as fast as 20 milliseconds, that's .02 of a second. On cameras that offer this option, you can select your shutter speed and the camera will automatically adjust the aperture opening setting and ISO number to give you a proper exposure. Usually the Shutter Priority setting is indicated by a capital S on the mode thumb wheel or in the on-screen menu. Like tablets and smartphones, many of the newer digital cameras are featuring screens that can be activated by finger taps and slides, or with plastic picks. The basic touchscreens allow you to scroll through an on-screen menu and pick options. Some screens add the ability to touch a spot on the display and the camera will focus on that part of the image. And then with another tap, you can snap your shot. Of course, if you are not careful, you'll end up with a few inadvertent photos. An image shot with insufficient light. The result is an overly dark photo with details lost in the shadows. Underexposure can be solved by increasing the light hitting the sensor. You can either decrease the shutter speed, for example from 1/125th of a second to 1/60th or make the aperture larger, for example from f/8 to f/5.6. With digital cameras, you can also turn up the ISO setting, for example from ISO 800 to 400, making the sensor more sensitive to light. If your camera is consistently underexposing, many cameras have an EV function that you can adjust. You may also be able to rescue an underexposed image in a post-processing program like Photoshop. Also called Image Stabilization (IS), this feature solves a persistent cause of blurry photos, the slight shake when hand holding a camera. Depending on the camera, vibration reduction technology is either integrated into the camera body or separately in the lens. The advantage of VR being integrated into the camera is that you will have it no matter what lens you put on. Good VR often will allow the shutter speed to be reduced to around 1/15th of a second. Of course, if your subject is moving, they will look blurry at that speed. The eye-level sighting window located at the top center of the back of a camera that is used to see and frame the image. Viewfinders can be optical, as on DLSRs, or electronic as on many of the new mirrorless cameras. The gradual shading around the edge of an image from white (or color) to black, or vice versa to white. The objectionable form of vignetting turns the corners of an image to black and is often caused by cheaper lenses, lens converters or very wide-angle lenses. Vignetting also has been a deliberate stylistic choice popular since Victorian times in printing portrait, wedding and those oh-so-adorable baby pictures. 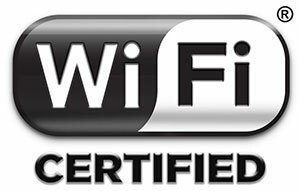 Wi-Fi (originally stood for wireless fidelity) is a technology that allows devices like cellphones and computers to exchange data without being connected with a wire. Until recently, cameras did not offer Wi-Fi capabilities. With the advent of picture taking smartphones that can upload and share photos through Wi-Fi, photographers have begun to expect similar Wi-Fi connectivity on their cameras. And indeed, manufacturers are adding Wi-Fi to some of their recent models, like the Canon PowerShot S110 or the Sony NEX-5R. And as a sign of what's to come, the Samsung Galaxy Camera in addition to Wi-Fi, includes 4G connectivity like a smartphone. If you own an older, non-Wi-Fi enabled, digital camera, you may be able to use a Wi-Fi SD memory card, like those from Eye-Fi and Transcend, which have a built-in Wi-Fi capability that allows you to wirelessly transfer your images to another device. As it sounds, this lens captures a wide angle view. Whether a panoramic vista on the far horizon or a wide family portrait shot from close-up at the Thanksgiving table, both offer more focus as well as width. Lenses are measured in focal length. The smaller the focal length, the wider the angle. The range of wide angle lens usually starts around 14mm (often termed super-wide or ultra-wide) and ends at about 45mm. The lower the number of the focal length, the wider the shot. Since this image sensor was developed by Foveon, it also called the Foveon X3. It is used in some Sigma digital camera, like the SD1. The X3 sensor differs from those commonly found in digital cameras because it stacks the sensor's photodiodes vertically in three different layers allowing them to capture different wavelengths of light. In comparison to a fixed or prime lens, which only provides a single focal length, a zoom lens is constructed to produce a range of focal lengths in one unit. With these often heftier and longer lenses, you can vary the focal length by twisting the barrel of the lens, called zooming. A power zoom lens is operated by pushing a button or lever. Zooming in fills the frame with more of your subject. Zooming out makes the subject seem more distant. Two common types of zoom lenses are wide angle zooms that cover a range from 18-55mm and telephoto zooms that go from 70-300mm.